mpressive palace with Renaissance baroque style. Built 12 kilometers to the center of the city of Stuttgart, one of its main attractions are its large gardens. 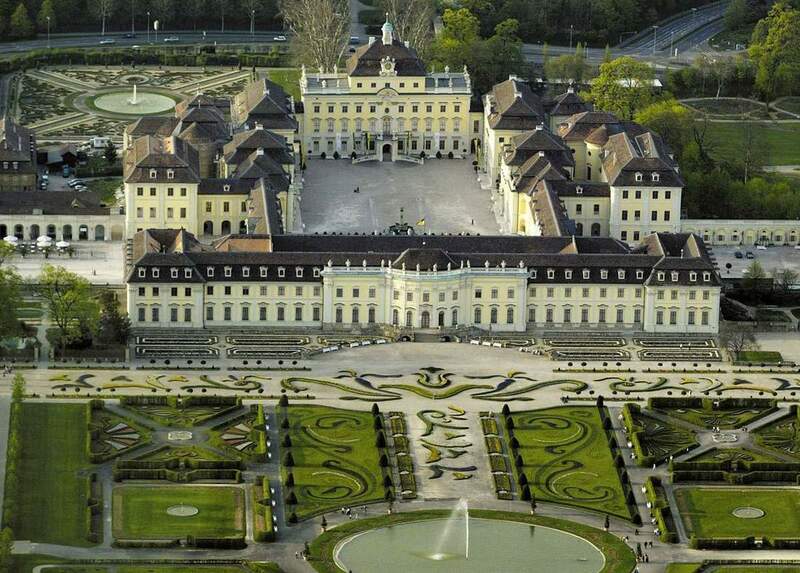 It was for many years from the 18th century until the beginning of the 19th century the main royal palace of the Wurttemberg dynasty. The Palace was started in the summer of 1704, at first it was intended to be only a country house by Duke Luis de Wurttemberg, but was becoming relevant to become the main palace, as the old castle of the city of Stuttgart had been outdated. Baroque Fashion Museum - a branch of the State Museum of Württemberg in Stuttgart, presents clothing from 1750 to 1820. There are guided tours scheduled daily at specific times, cultural events and festivals are also held in its gardens, especially during the summer. Spacious and impressive gardens, three different museums with varied exhibitions more than all art and crafts of the Renaissance Baroque era.